In a world where change is the only constant, there is always something to grieve: lost love, lost time, lost dreams. 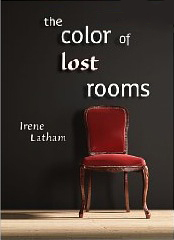 Rooted in history, nature and art, this collection by award-winning author Irene Latham is a haunting collection of brave, vulnerable and sometimes philosophical poems. Including poems with titles like “Why Hester Prynne Still Loves the Color Red” and “Audrey Hepburn at the Dance Studio,” the collection journeys through passion and loss to illuminate the many rooms we occupy, inviting the reader to discover ways love defines the human experience – and how to survive it. Also includes E-Book Bonus Material: Interview with the Author and Discussion Questions.